This is what I was just told by one of my sources in the Capitol, as the battle for Constitutional Carry reaches a fevered pitch. Sure, a billionaire from NYC is using his funds to bankroll ads from a front group he controls trying to shut this legislation down – and tell Missourians how to live their lives. 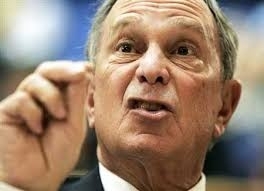 But Michael Bloomberg doesn’t live in Missouri — you and I do. And let me tell you, the members and supporters of the Missouri Firearms Coalition are making their voices heard with calls, emails, and Facebook messages to their legislators! Their offices are getting flooded. Late Tuesday the Senate Conference Committee met to hash out SB 656 – legislation that includes Constitutional Carry law. Parts of the bill were stripped out, but Constitutional Carry remains intact. Yesterday morning, they were at it again and actually added some good language back into SB 656. As of this moment, SB 656 contains both Constitutional Carry AND Stand-Your-Ground legislation. But even though we’re down to the last two days here in Jefferson City, the fight for this legislation is far from over. The Senate could still decide to table this bill, killing it for the year. They could decide to amend it so far down so as to be meaningless, removing Constitutional Carry and Stand-Your-Ground law in the process. Or they could pass it as is. Of all the calls, emails, and Facebook messages you’ve left your Senator this session – the communication you make in the next two days may be the most important of the entire session! They need to hear from you right now! If you’ve already called this week, please call again! In his/her mind, your Senator is trying to decide what pressure to give into. 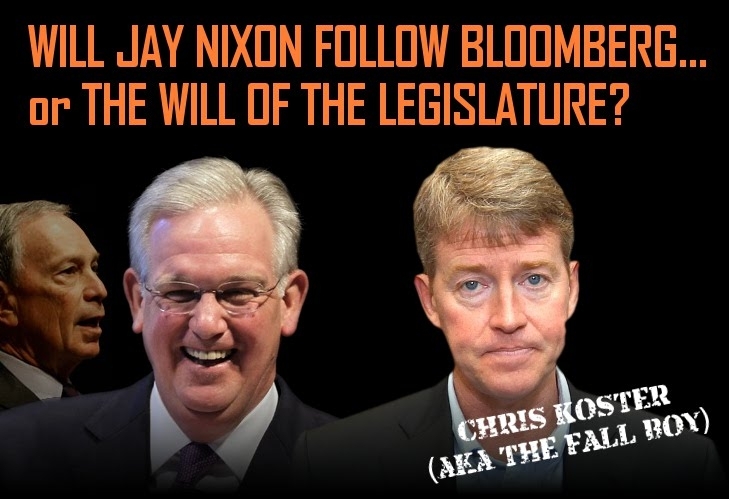 Does he listen to Bloomberg’s rantings and placate a bunch of anti-gun zealots who want to crush our freedoms here in Missouri – or does he listen to law abiding gun owners who make up a major voting bloc in his district? Remember, it’s an election year, so your activism is magnified many times over. Your State Senator; click the link if you’re not sure who your senator is, and then make sure he knows that you don’t want to hear from him during his re-election campaign if he’s not willing to stand up for Constitutional Carry legislation! And don’t let him get away with, “I’ll support it if it bill comes up on the Floor.” Everyone says that here in Jefferson City. What they need to do is work to make sure their leadership moves the bill onto the Floor for a vote! The Senate leadership team; this handful of Senators decides what your Senator will be voting on in the final hours of the 2016 session. Make sure they know that you expect them to listen to gun owners on this legislation, not the rantings of a NYC billionaire! You can call them using the numbers below, and I also hope you’ll send them a note on Facebook by simply clicking on their names. We’ve come so far this session as a brand new organization! Your activism to date is what passed this bill through two House committees, the full House (twice), and is why Michael Bloomberg himself is spending money trying to shut you and me down! Please contact the Senators listed above, as well as your own Senator, and make sure they know that Missourians run the show here in Jefferson City – not Michael Bloomberg! Insist that they pass Constitutional Carry, either HB 1468 or SB 656, before adjournment tomorrow! P.S. The Missouri Senate is getting hammered with calls and emails from gun owners in Missouri who want them to pass Constitutional Carry – and they are also getting calls from Michael Bloomberg’s supporters who want to stop us. The calls and emails you make today may likely tell the tale on what happens to this legislation before adjournment tomorrow. SB 656 was worked on in Conference Committee Tuesday afternoon and again on Wednesday. 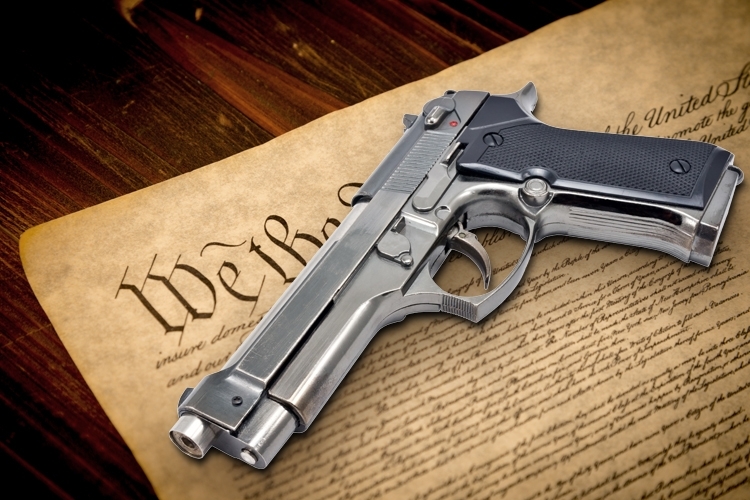 So far, the bill has remained solid with Constitutional Carry and Stand-Your-Ground legislation on it. But it could easily be shelved, amended to the point of being meaningless, or gutted all together between now and tomorrow at 6pm. So please contact the Senators listed above right away!